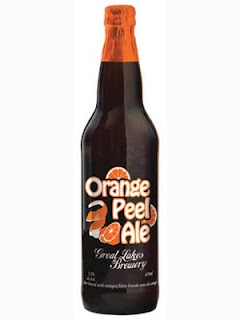 In gearing up for Spring, Great Lakes is poised to release it's "Orange Peel Ale". "The brewery has been smelling like the tropics lately with all of the fresh oranges being boiled and zested into our Orange Peel Ale. The tanks are full and bottles and kegs will be rolling out this week. Keep your eyes peeled for bottles on LCBO shelves and draft at your local restaurant or pub."